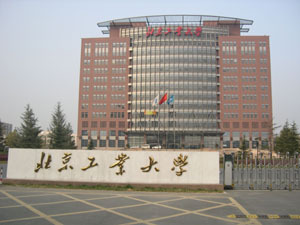 Beijing University of Technology was founded in 1960. 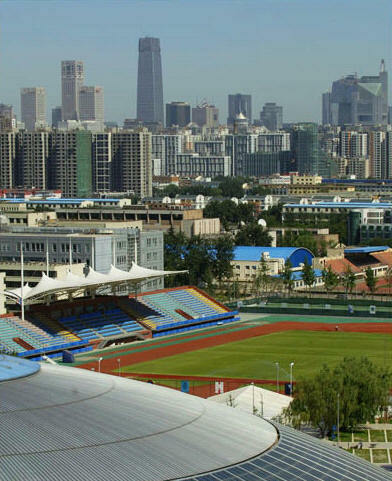 It is a key university under the administration of the Beijing municipal government, which has established a multi-disciplinary academic structure. The structure offers various programs and also involves in diversified academic research in the fields of science, engineering, economics, management, liberal arts and law. It is ranked as one of the 100 key universities for the 21st century. Its mission is “relying on Beijing, merging into Beijing, inspiring China and orienting itself to the world.” In fulfilling this mission, the university has become a base for cultivating qualified high-level personnel, for scientific and technological innovation and for research and development. Excellent goal-oriented educational language programs are offered in this university. All teachers have excellent academic backgrounds and a wealth of teaching experience. We maximize the use of our campus and the city of Beijing as a natural environment for language development in order to efficiently improve our students’ abilities to listen, speak, read, and write Chinese. Students will take a placement exam on the first day of each semester and are arrange into different classes accordingly. There are 10-20 students in each class. Syllabus and course duration may specially designed for groups. For local applications, the application deadlines may extend to 31st, July and 31st, Jan. respectively. Remarks: Only for those who wish to study for more than one year are required to submit Medical check report. The original physical record, X-ray results, and other original documents should be included. If they fail in preparing this document at their home countries, they may have the medical check in China upon their arrival. Application materials must be submitted to the international student office of the university through either email or post. You will be sent an acknowledgement as soon as the University has received your application. Decisions regarding admissions are not made until a full application is received. It is important you enclose all of the information requested to prevent the processing of your application being delayed. The University aims to ensure that decisions are made within one week upon a completed application being received. Remarks : Every extra week beyond four weeks costs ￥415 Yuan.